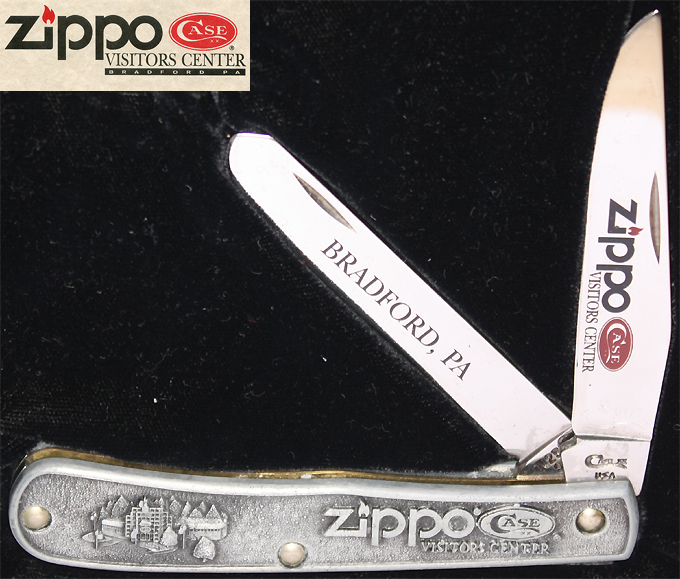 Pennsylvania & greets thousands of visitors from around the globe every year. 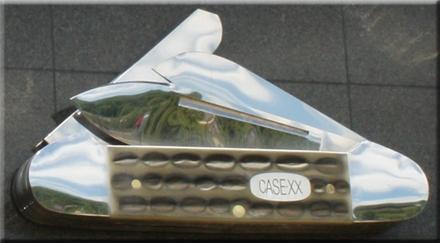 ...& a 10-foot replica of a classic bone-handled Case Canoe three bladed pocketknife. 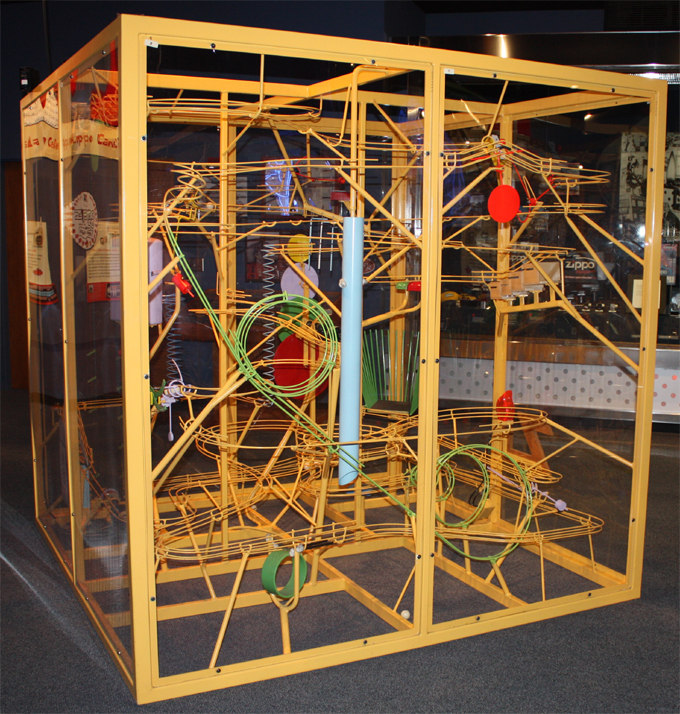 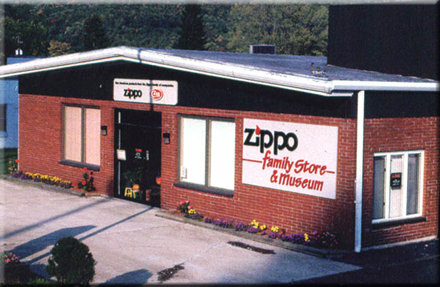 simple extension of the existing family Store & Museum was not an option. 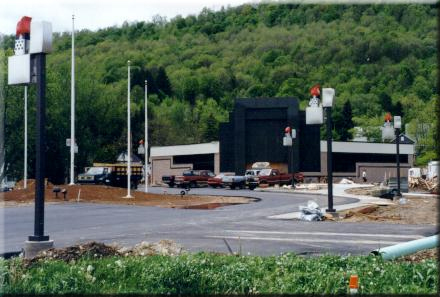 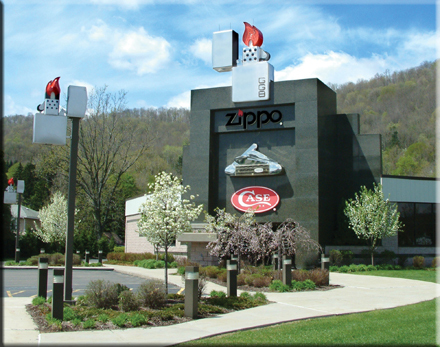 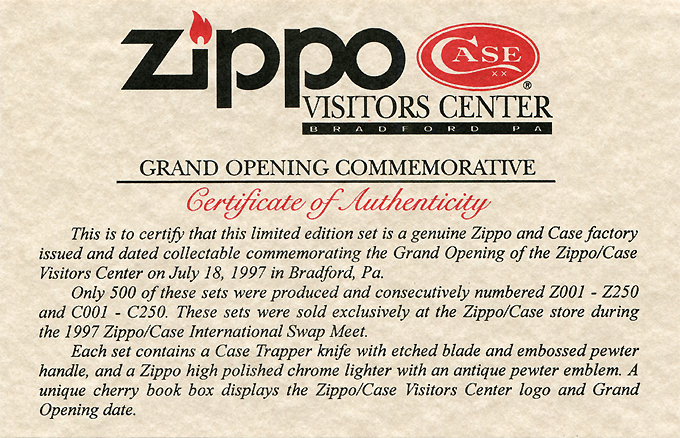 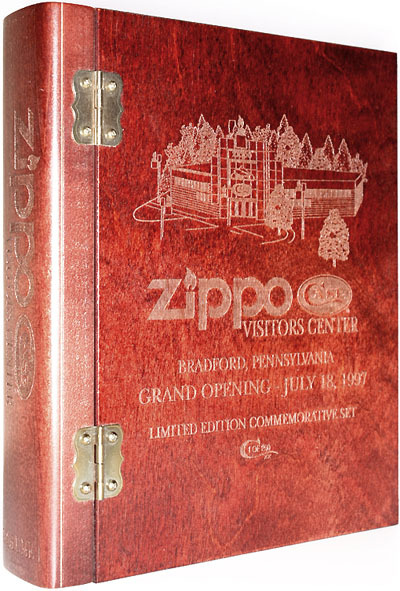 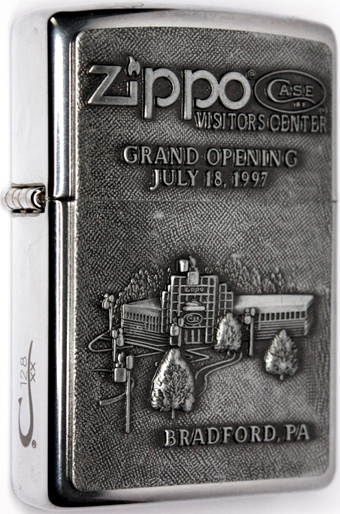 Finally, about one year after breaking ground, on Friday, July 18, 1997 at 3:00 p.m.
the Zippo/Case Visitors Center opened its doors to public for the first time. 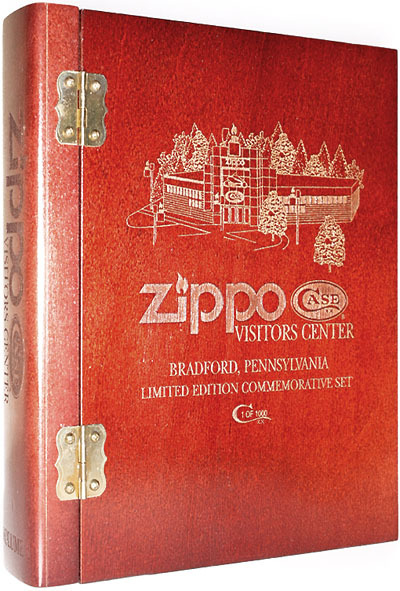 four different Limited Edtion Commomerative Sets were released. 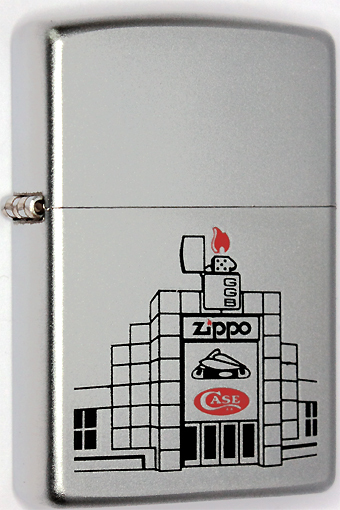 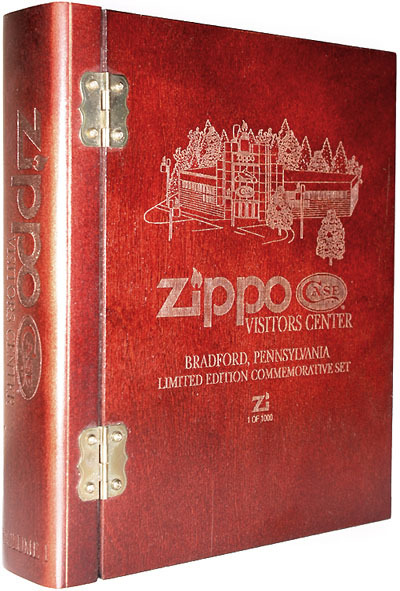 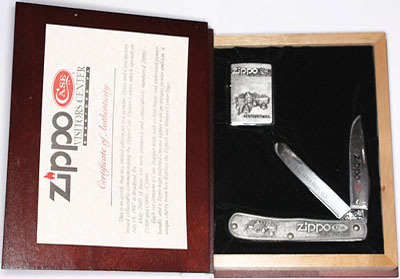 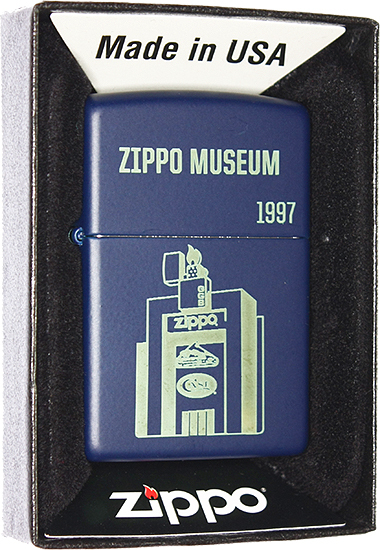 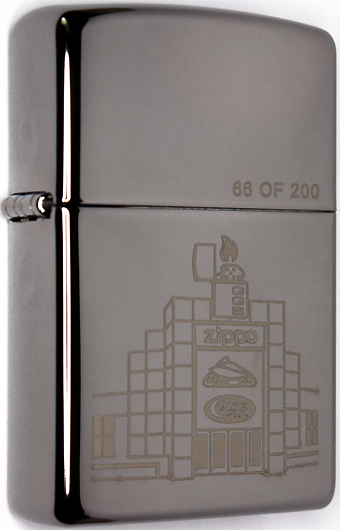 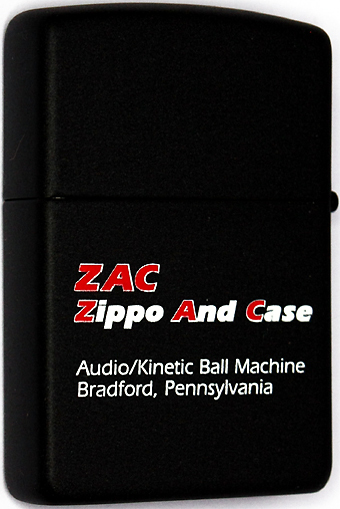 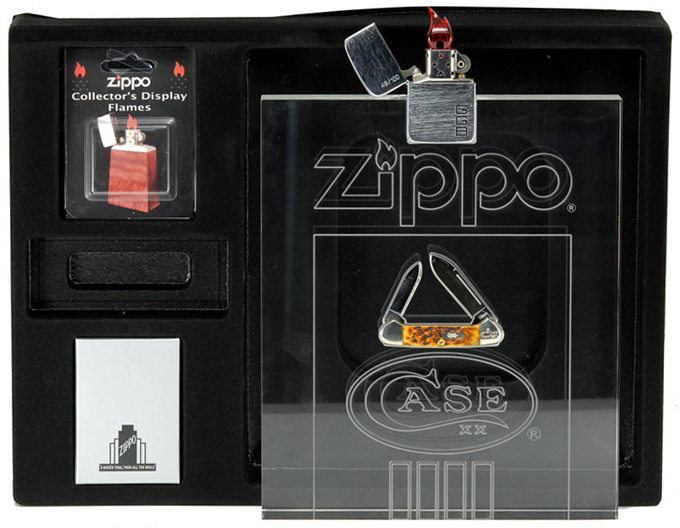 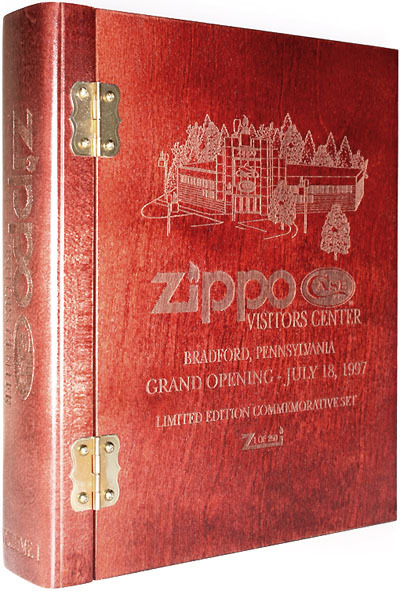 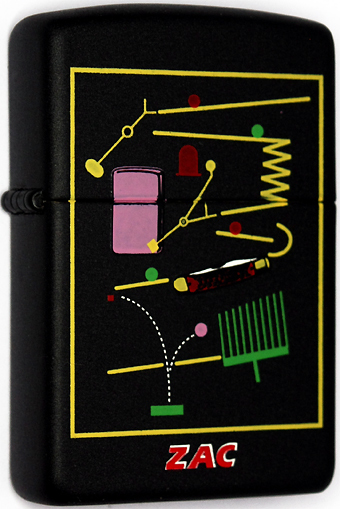 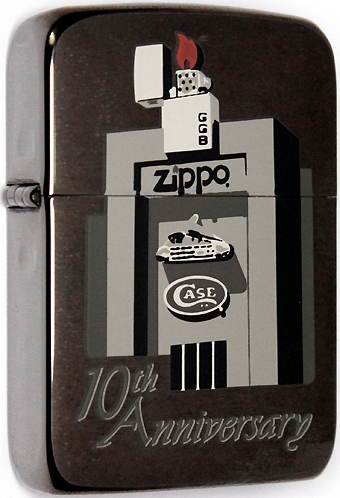 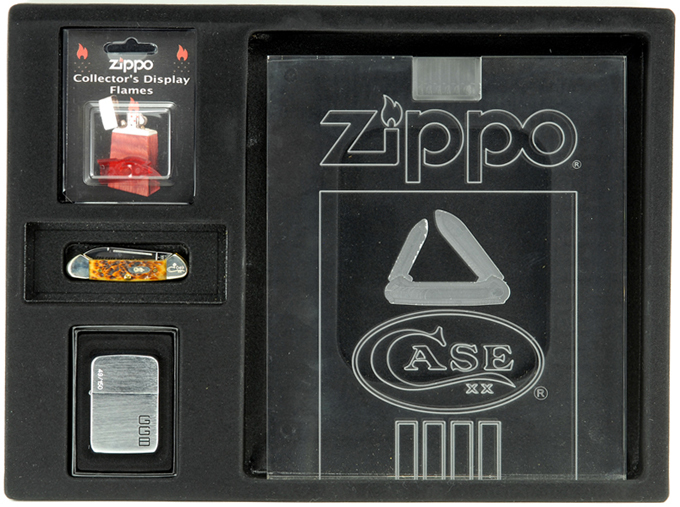 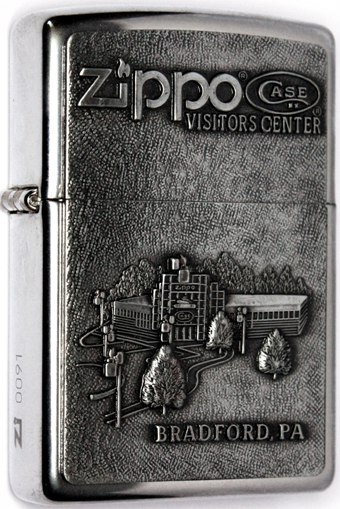 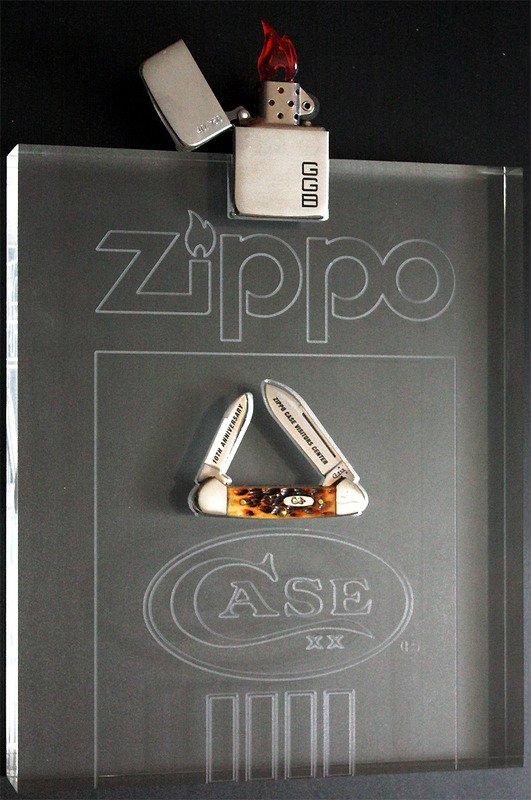 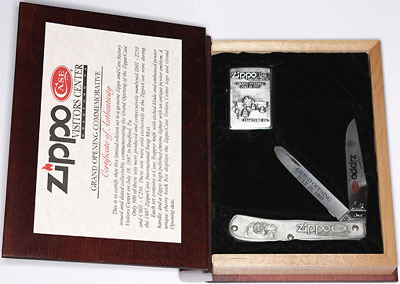 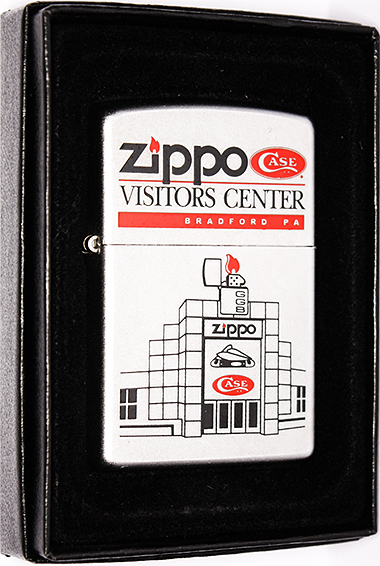 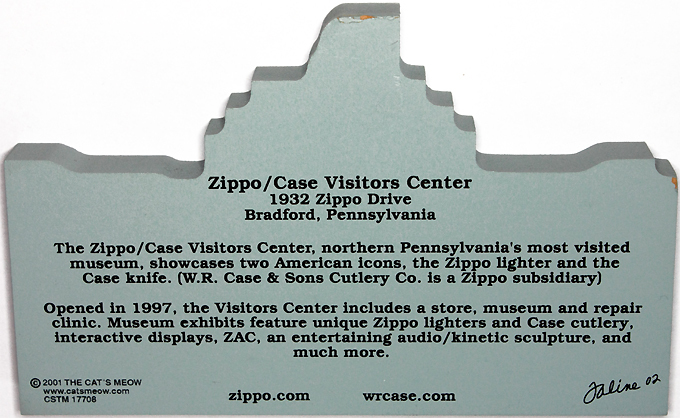 This limited edition set commemorates the 10th Anniversary of the Zippo/Case Visitors Center. 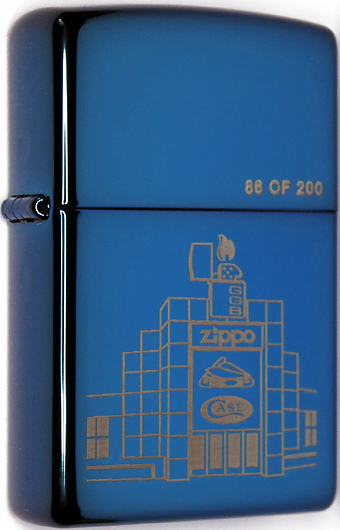 Limited to 150 sets, each individually numbered Zippo lighters and Case knives were designed to replicate the lighter and knife on the facade of the building. 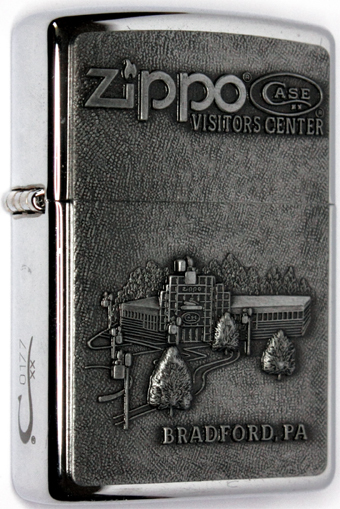 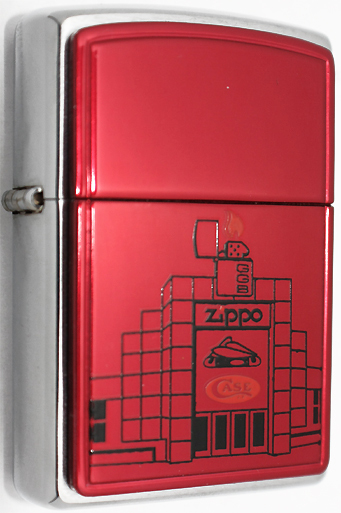 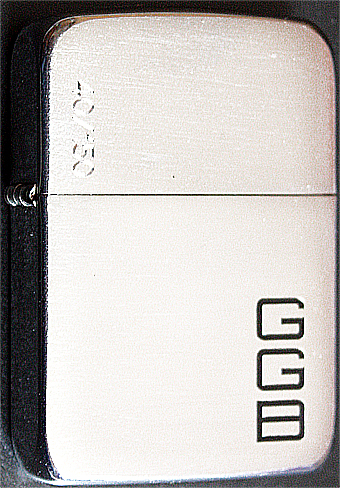 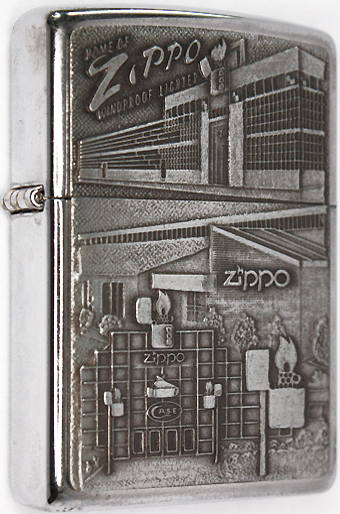 The brushed chrome Zippo windproof lighter is a 1941 Replica™ customized with Zippo founder George G. Blaisdell's initials on the front bottom surface. 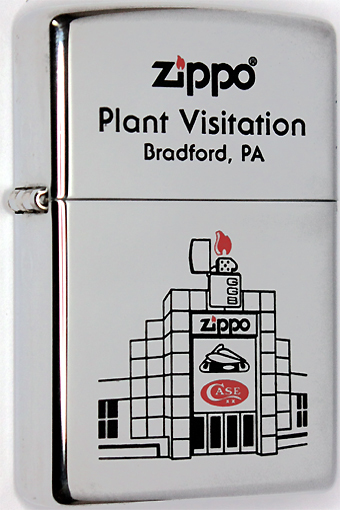 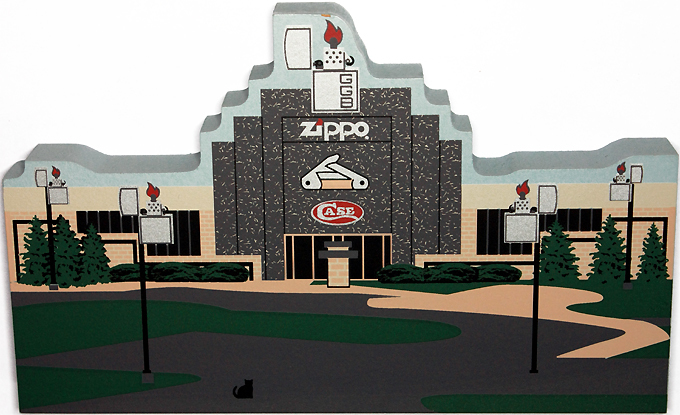 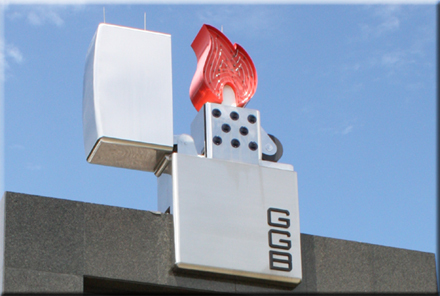 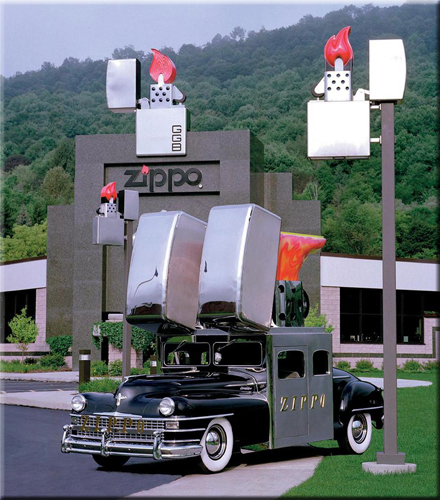 A Roseart™ display flame keeps the Zippo flame bright at the top of the building replica. 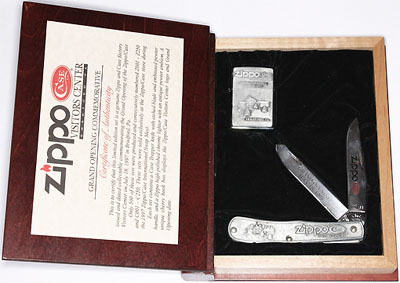 The Case knife is a 62132 SS Baby Butterbean, the smallest of all Case "Conoe" patterns, with the same classic shape as the 6394 SS Gunboat Canoe found on the front of the building. 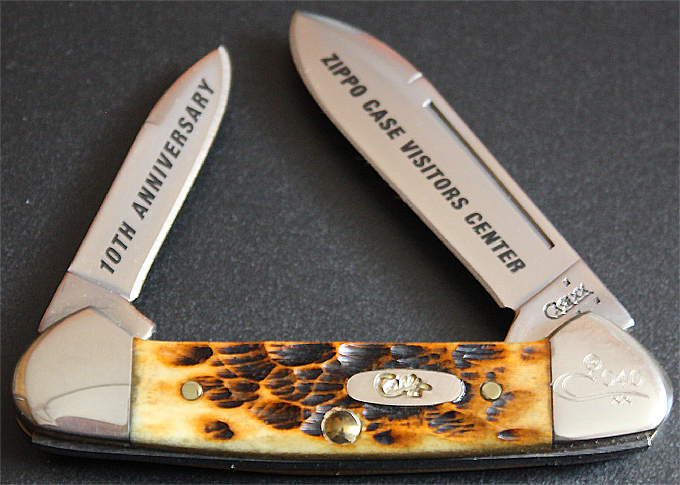 The genuine bone handles are jigged and dyed a rich antique color. 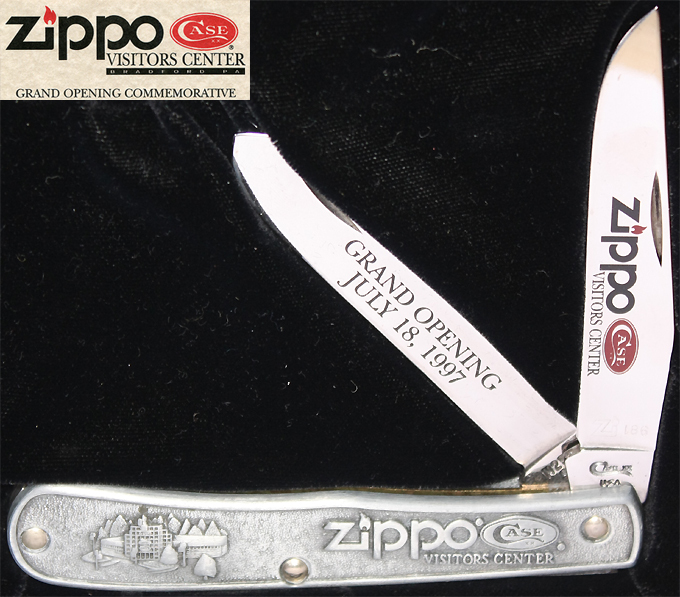 The mirror polished Tru-sharp™ surgiacl steel blades are embellished with 10th Anniversary artwork. 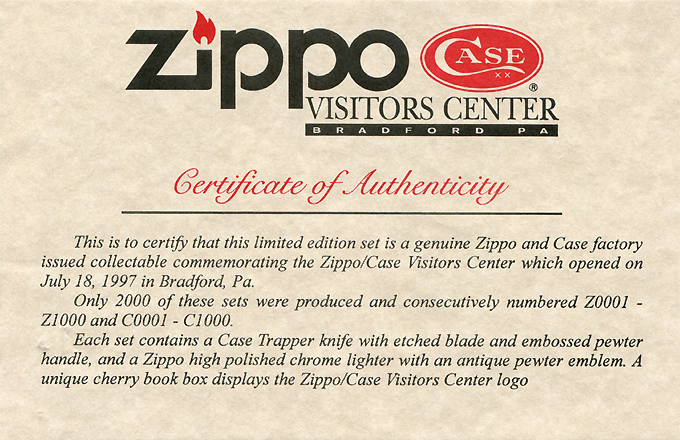 The knife features the Case Long Tail "C" serialization. 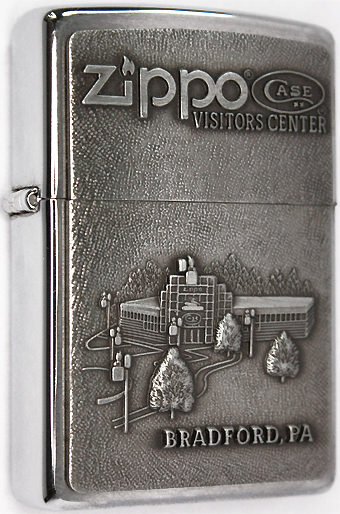 ZIPPO / CASE VISITORS CENTER "GGB"